Hey, all! 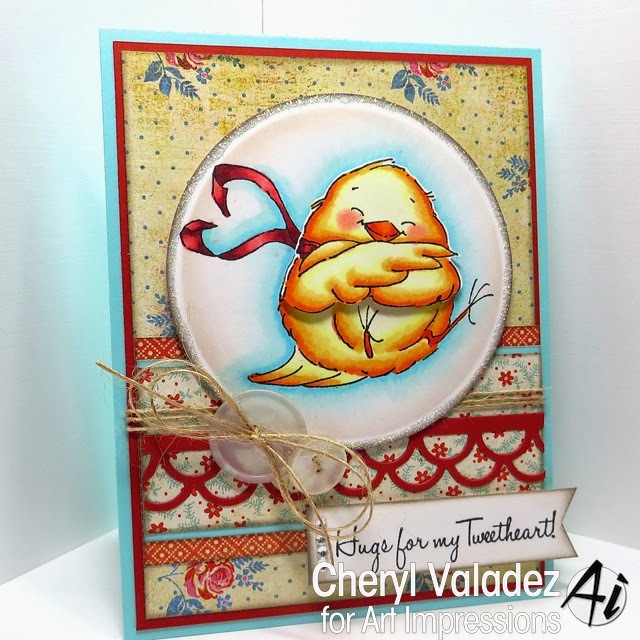 I'm back today with a cutie patootie from Art Impressions. Valentine's Day is right around the corner so why not get started with one of the brand new Valentine Sets. The Love and "Hugs" sets come with 2 image stamps, a sentiment and an Action Wobble Spring. When the spring is added to the mix, the stamped image appears to be hugging itself. Too sweet! The set I used today is called the Tweetheart Set. Super flippin' cute and perfect for your sweetie. 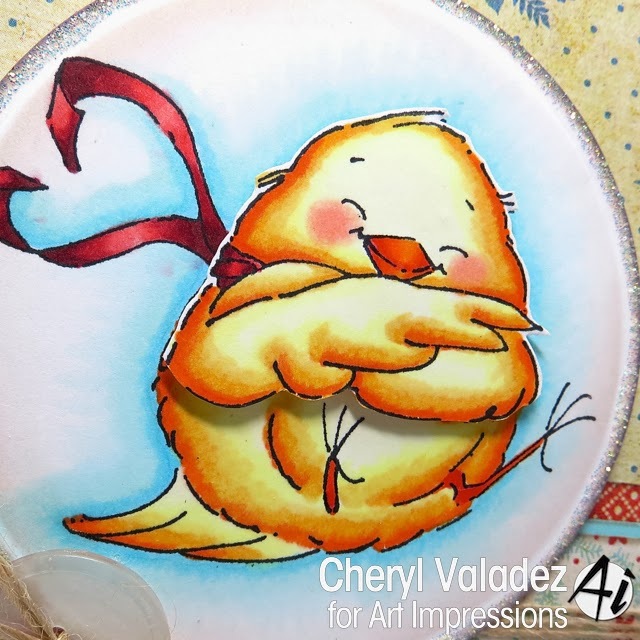 Visit the Art Impressions Blog daily for inspiration from the Design Teams. Cute and funny, love the cheerful colors and your choice of papers. Thank you for your inspiration! Oh my goodness, that is just so cute!